Valentine's Day always brings about feelings of love and excitement in the preschool classroom. Teachers can implement preschool Valentines Day games to keep the children moving and engaged on this holiday. Games such as Heart Scavenger Hunt; Pin the Heart on Cupid; Knock Knock, Who Am I? ; and a Life-Size Board Game help burn off the extra energy while having some fun. Make a Valentine’s Day version of an Easter egg hunt by hiding hearts all over the classroom, gym, or multi-purpose area. If the weather is nice, plan this as an outdoor activity..
Make the hearts out of different related colors such as purple, red, pink, and white. Include different sizes. 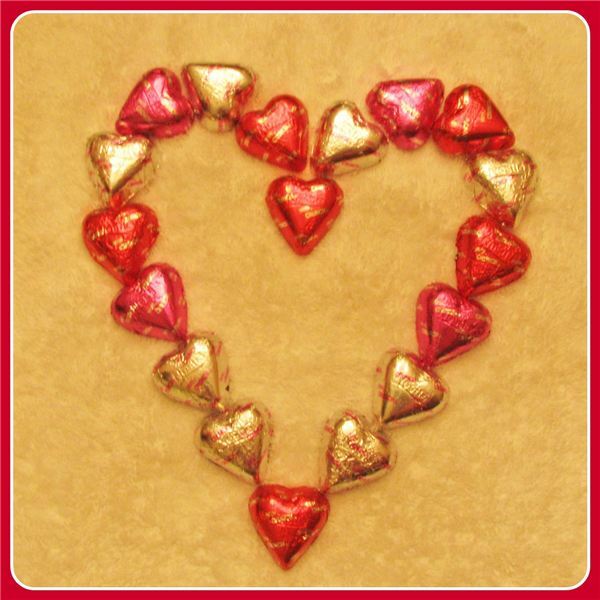 Also try to find different media to create the hearts including beads, stuffed hearts, and more. You could even use Valentine-colored plastic eggs that have treats inside. Send the children off to find as many heart-shaped items as they can. Or, give them pictures of things to find. Play a Valentine's Day version of the classic Pin the Tail on the Donkey game by making it Pin the Heart on Cupid. Create a life-size cut-out of a Cupid. For more fun, trace one of the children, or have them trace each other. Pre-cut a bunch of hearts, or have the children cut them out. Attach small rings of masking tape to the backs of the hearts. Blindfold the children one at a time, and have them try to put the heart on the cupid. Avoid spinning young children around as they could lose their balance, and safety is key when playing games at school! See who can get it closest to the right place! Knock, Knock, Who Am I? A fun game for preschoolers to play is "Knock, Knock, Who Am I?" In this game, one child is sitting in a chair, with his or her eyes closed or blindfolded. Another child usually comes up behind the seated child and says, "Knock, knock, who am I?" The seated child has to guess who it is by the other child's voice. A variation on this game is for the blindfolded, seated child to try to guess the mystery child by feeling his face and head with her fingers much like a blind person. Make this a Valentine's Day game by having the child say, "Knock, knock, who is your Valentine?" Turn the classroom or play space into a life-size board game. Create a path of large heart shapes. Use poster board or laminate paper to make them sturdier. Use masking tape or Velcro hooks to keep them in place. Children can be the pawns that move along the board. Have each child roll giant foam dice to determine the number of steps. If using different colors of hearts, the dice could be covered with the corresponding colors. Another option to make the children move would be drawing a card with either a number on it as in Sorry or color as in Candyland. Make everyone a winner by providing a special Valentine's Day snack at the finish line. Preschool Valentines Day games such as a scavenger hunt, "Pin the Heart on Cupid", "Knock, Knock, Who Am I?" and a life-size board game allow for children to get some of the wiggles out during the holiday. They are usually full of energy during the holidays, and controlled fun games can provide some semblance of order. Find all that you need for a preschool valentine theme here at Bright Hub! We have ideas for dramatic play, games, making cards and books, and even activities to teach across the curriculum for Valentine’s Day in preschool!